As part of the tax exemption application we needed to put a sign on the new ministry center building. Our intern designed the sign, we had a company print the sign and we had it hung on our “Fixer Upper.” It looks a little out of place, but we are excited to see the transformation of how it will look after the renovation. 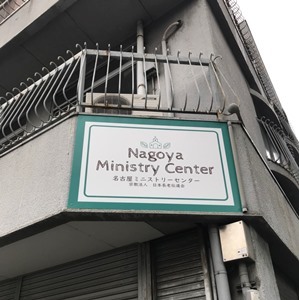 Many of the members at Shiga Church have told us how they been moved as they drive by the building and keep praying for how God will reach more of Nagoya for Christ! Aaahhh!! This is so exciting to see!! !